Electron micrographs of porous carbon networks prepared by ultrasonic spray pyrolysis. The morphology is controlled by the experimental conditions. Color images are in "false color" to improve contrast. CHAMPAIGN, Ill. - Since the discovery of buckyballs and carbon nanotubes, there has been intense interest inpreparing carbon materials of various morphologies and structures. Now, graduate student Sara E. Skrabalak and chemistry professor Kenneth S. Suslick at the University of Illinois at Urbana-Champaign have discovered a way to prepare porous carbon sponges by heating a chemical mist from an ordinary home humidifier. The prepared materials have much larger pores than conventional carbon materials and could thus be used in adsorbent, catalytic and electrochemical applications in which large molecules are involved. This new route to mesoporous (2 to 20 nanometers) and macroporous (greater than 20nm) carbon powders dramatically improves on conventional preparation methods. Traditional carbon blacks are made by charring wood or other natural products, but these have extremely small pore structures. 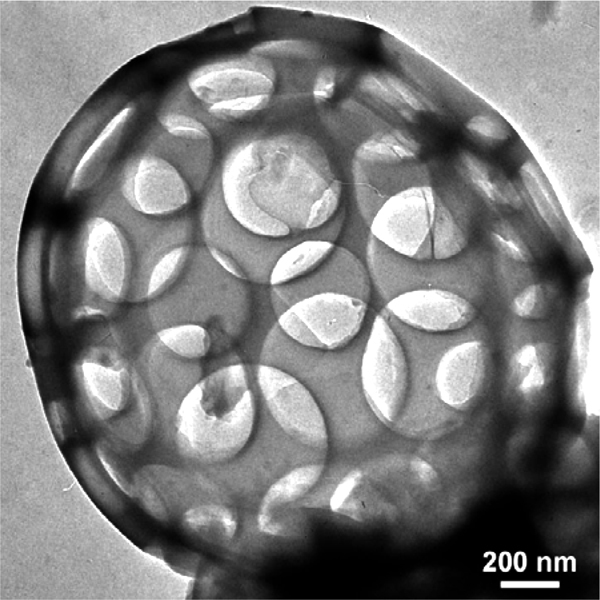 Other larger pore carbons have been prepared by tedious templating methods in which a sacrificial material, such as nanoparticles of silica, are mixed with a carbon precursor, heated to consolidate the precursor, and then treated with caustic chemicals to remove the sacrificial template. With their technique, however, Suslick and Skrabalak thermally decompose organic compounds using ultrasonic spray pyrolysis to create a carbon/salt composite; washing with water easily removes the salt, revealing the porous carbon material. Ultrasonic spray pyrolysis uses a mist of micron-sized droplets from a humidifier. The droplets are delivered where the water evaporates and dissolved substances react, precipitate, or decompose to form product. This technique has allowed for the continuous, inexpensive production of micro- and nano-sized powders. With this latest work, Skrabalak and Suslick have expanded this technique to the production of carbon materials. This new synthetic route is simple, easily scaled-up and can be adapted to other materials. "Having big pores, these easily made porous carbons could be used as adsorbents for environmental remediation or as solid supports for industrially important catalysts," Skrabalak said. "We have collaborative work under way with Korean researchers that shows great promise for fuel cell electrodes." This new route to porous carbons is to be reported in the Oct. 4 issue of the Journal of the American Chemical Society. The work has been funded by the National Science Foundation.